This is a very large acrylic painting on a canvas. This painting measures 36″x 36″, and is actually framed in a thin wood strip frame. 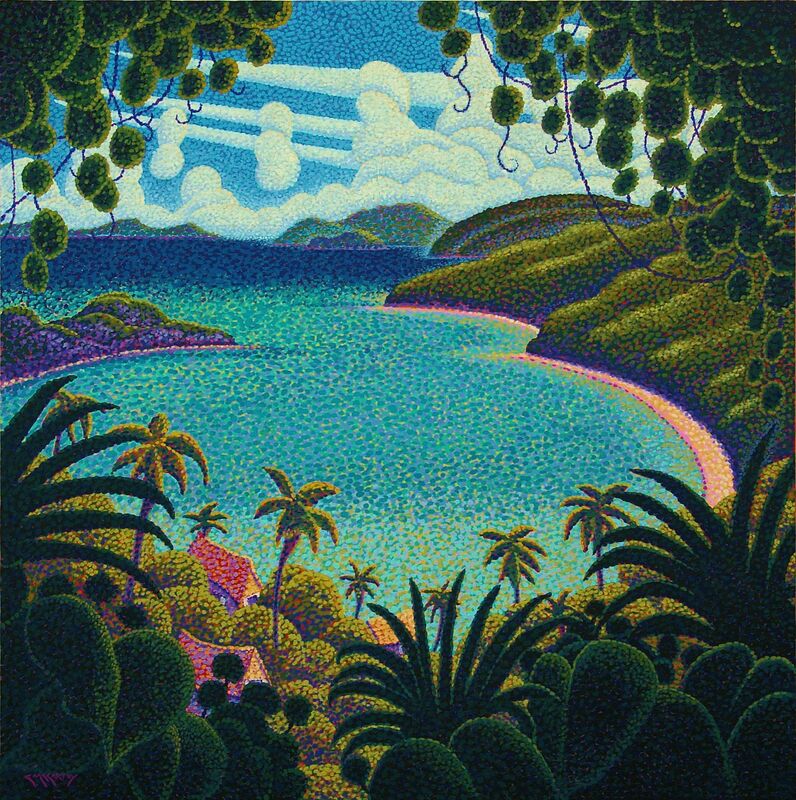 This painting presents a view of a small piece of tropical paradise. Overlooking a tranquil bay, turquoise waters shimmer in the noonday sun somewhere in the Caribbean. Some folks might call this place Kokomo, others Margerittaville. Regardless, it’s the view I was moved to paint, and I called Paradise. Enjoy! I completed this painting using my whimsical form of pointillism. This painting is being sold FRAMED.